Hundreds of American couples were in the process of adopting children from Haiti when the catastrophic quake hit the country last week. Many Haitian adoptions are now in limbo. Government buildings that were processing adoptions were demolished and many government workers are either feared dead or missing. 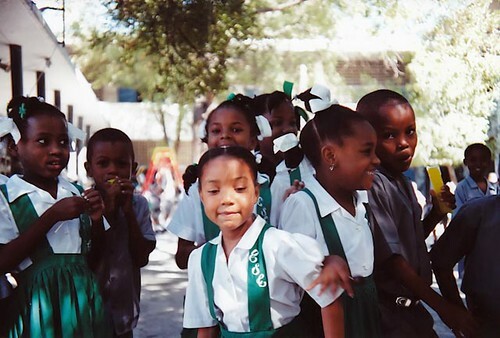 Orphans in Haiti have also skyrocketed as a result of the earthquake. They are in grave danger from food and water shortages, and still separated from their adoptive parents in the United States of America. Hence, we ask you to urge your Congressional representatives to put pressure on DHS to grant humanitarian parole so that these children can be brought to their homes in the United States immediately. International adoptions can take anywhere between 1 to 3 years. One Wisconsin couple reports that they have already waited more than two years to bring their 16-year-old son, Nady, home from Haiti but in the aftermath of the recent disaster, they do not know when his passport would arrive. The fact that Nady is 16 — the cut-off age for international adoptions — also means that they might not be able to adopt their son. The solution is humanitarian parole for these Haitian children who already have homes awaiting them in the United States. This does not expedite the adoption process but it allows these children to be brought to the United States for a temporary period. Besides halting deportations and granting temporary status, this is another way in which DHS can help Haiti. United States citizens undergoing inter-country adoptions from Haiti should visit this state department page for more information about their individual cases. ← Previous Previous post: What Do Google Users Know About Fiji and Fijians?